A forgotten Vietnam vet's strange adventure in Houston. A young woman's near-death experience on a sunbaked roadside. A bubble-wrapped future overrun by a creeping plague. 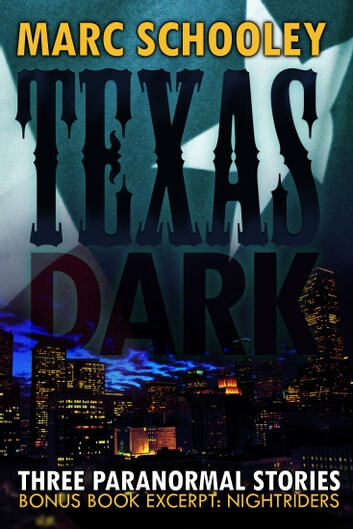 Visit a supernatural continuum whose hub is the Lone Star State as you've never seen it. 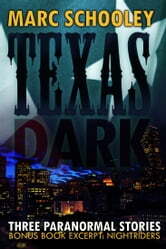 Texas Dark features a bonus chapter from Marc's supernatural thriller novel Nightriders. Award-winning novelist Marc Schooley wrote his Master's thesis on one of the world's toughest questions: the existence and origin of evil. Balancing realism and hope, Marc fluently threads this theme through his storytelling.